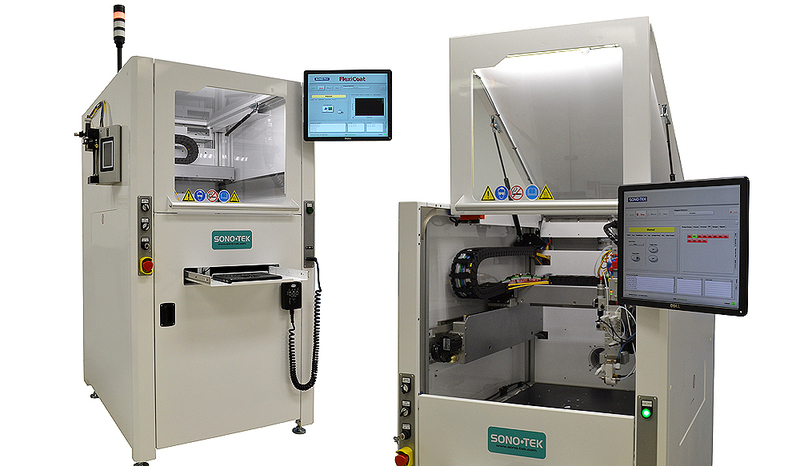 Sono-Tek ultrasonic nanomaterial coating systems are uniquely suited to spraying nanosuspensions like CNTs, nanowires, perovskite, graphene, and others. Due to the inherent ultrasonic vibrations of the nozzle the energy breaks apart agglomerated particles in the suspension the liquid subjected to continuous mechanical vibrations during the entire coating process without damaging the material. This is particularly beneficial where uniform dispersion of functional nanoparticles is required. Other spraying techniques, in comparison, cannot disperse agglomerates, and clog easily. Read more information on the unique properties of ultrasonic spray nozzles. 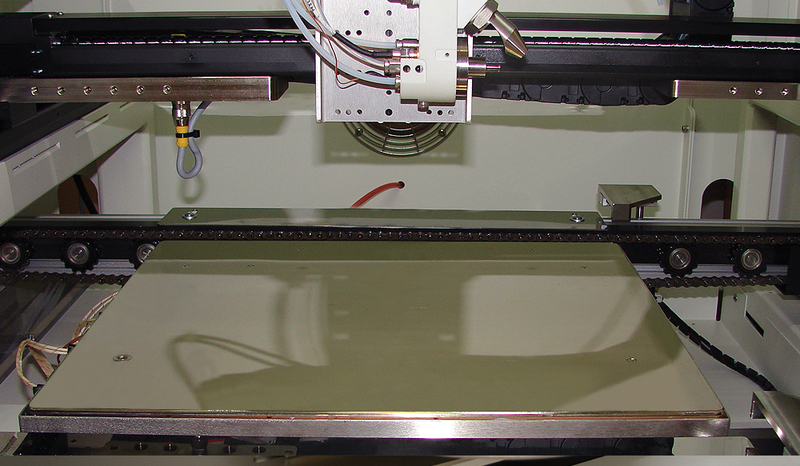 The ability to spray ultra-thin conductive layers with desired electrical and transparency characteristics. Homogeneous distribution of nanoparticles over substrate for maximum use of materials. Targeted low velocity spray results in very little overspray of expensive materials. 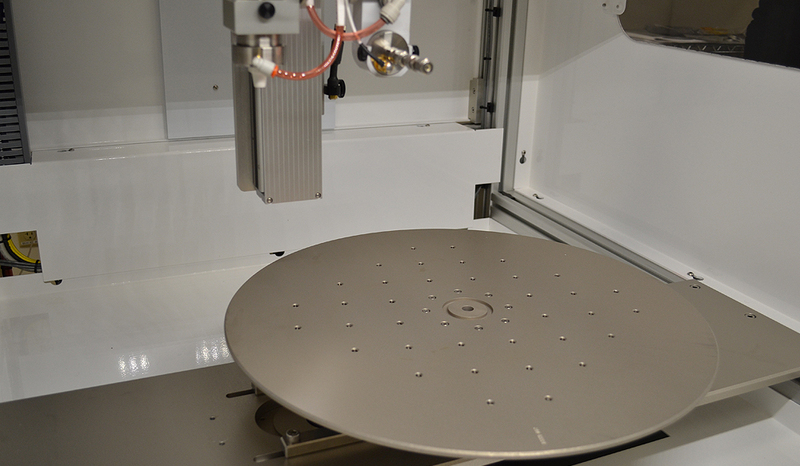 Ultrasonic coating systems give more flexibility, control, and more cost effective than other deposition methods such as dip, spin, and traditional spray. 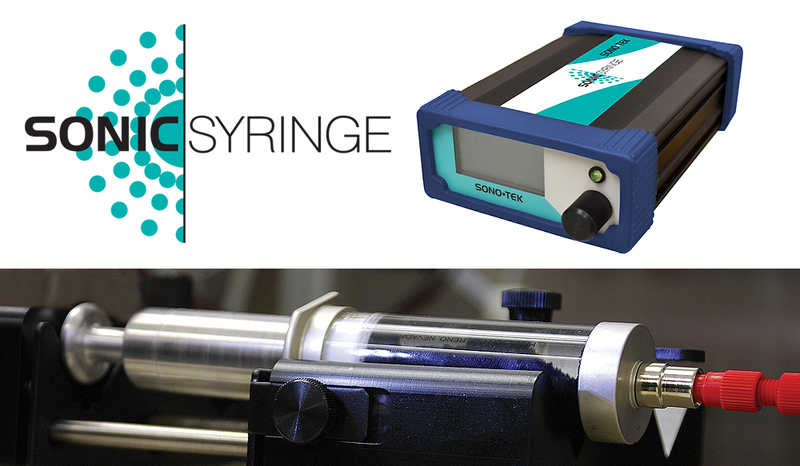 Choice of drop size, down to 13 microns, depending upon nozzle frequency used. Programmable XYZ coating systems provide a full solution for your coating process, from R&D lab scale through production volume manufacturing. Fine line or wide area nanocoatings. Depositing CNTs (carbon nanotubes), nanowires, perovskite materials, graphene, in uniform thin coatings for alternative energy, electronics, semiconductor, or medical applications. Spraying catalyst inks such as carbon black and platinum solutions in fuel cell manufacturing. Protective and strengthening applications using graphene or CNTs. Various nanomaterials for EMI shielding. 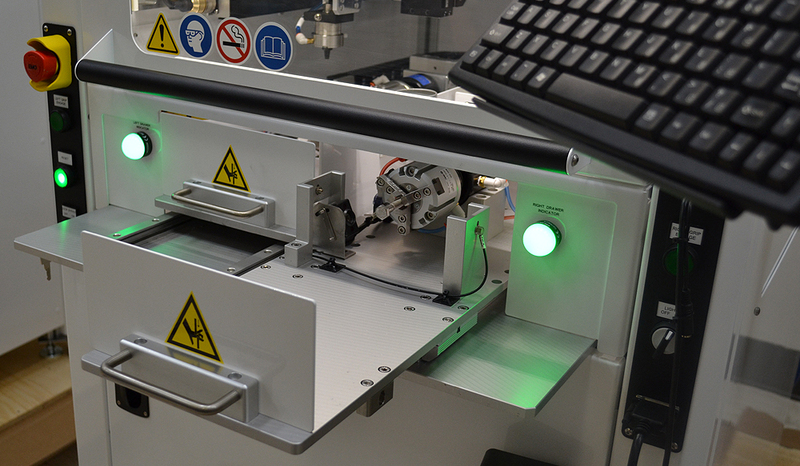 Depositing uniform thin films of nanowires or graphene in advanced electronics applications. 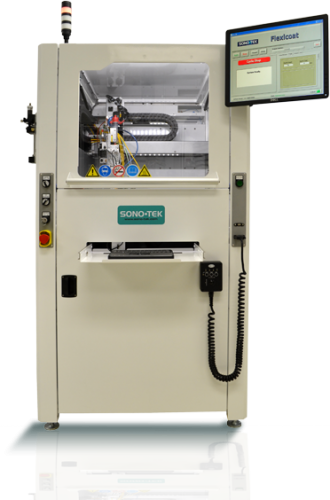 Sono-Tek ultrasonic coating systems are used for depositing nanolayer thickness uniform coatings across any width substrate. The ability to create these very thin coatings with high uniformity, even across very wide widths, makes ultrasonic spray technology uniquely suited to many precision nanotechnology spray applications. 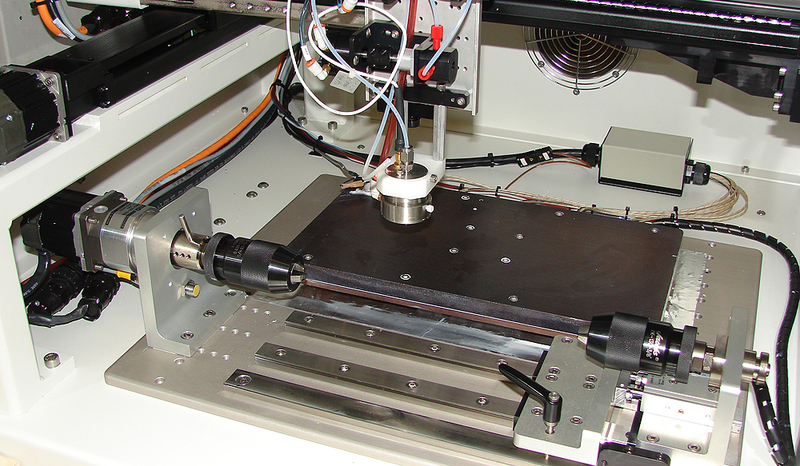 Ultrastatic ESC is currently being offered as a research and development tool for laboratories and universities exploring new methods of thin film deposition. Capable of very low flow rates. Break up of agglomerated particles due to ultrasonic nozzle vibrations. The video below is a technical presentation by Robb Engle, Sono-Tek’s VP, Engineering, given at the 2018 ISCST Symposium in Long Beach, CA, Sept 19.